Manchester United have announced the signing of teenage left back Luke Shaw from Southampton for a reported £31.5 million. The fees paid makes him United’s second most expensive player and the world’s most expensive teenager. The teenager has impressed for Southampton in the last two premier league season where he made 60 appearances for the Saints. The high level of his performances convinced England manager Roy Hodgson to select the youngster in his world cup squad ahead of Ashley Cole. 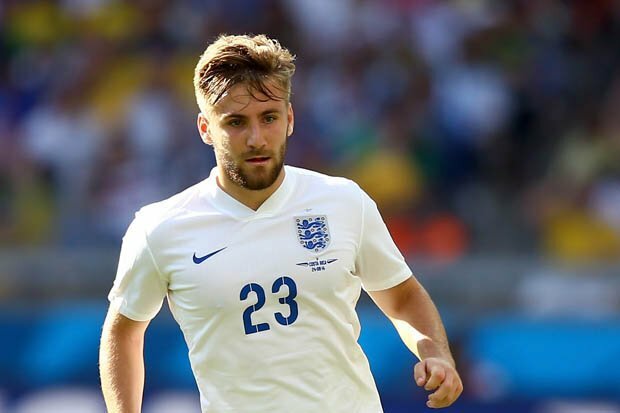 Shaw however made only one appearance at the world cup, England’s dead rubber against Costa Rica. Shaw, a self-proclaimed Chelsea fan, was reportedly swayed by United insisting during negotiations that he will be first choice ahead of veteran left back Patrice Evra. The Frenchman who is 33, is now expected to play a reduced role for the Old Trafford club. Shaw has reportedly signed a four-year contract worth £100,000 a week with the option of extending another year. The player made the following statement on the confirmation of the move. “I am thrilled and excited to be joining Manchester United. “I have been at Southampton since I was eight years old and I would like to thank them and the fans for everything they have done for me. I want to continue to progress my career and joining United is the ideal place for me to do that. 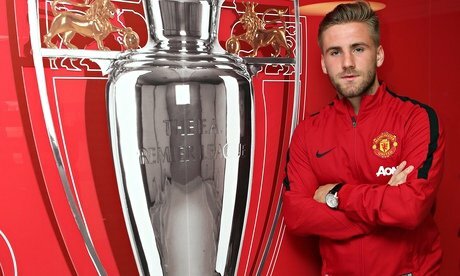 Shaw will be hoping for silverware at his new club. Assistant manager Ryan Giggs, speaking in the absence of Louis Van Gaal, also had words of praise for the 18-year-old left back. “‘Luke is a very talented young left-back with great potential. He has developed immensely during his time at Southampton and has all the attributes to become a top player,’ said Giggs. Shaw is the second big signing for Manchester United in two days as midfielder Ander Herrera also had his move rubber stamped yesterday. United have now spent north of £60 million in the transfer window and are expected to have at least two new signings in the works. The spending is seen as part of a major overhaul at the club as it looks to recover from its disastrous season where the club failed to qualify for the Champions League for the first time in 19 years.